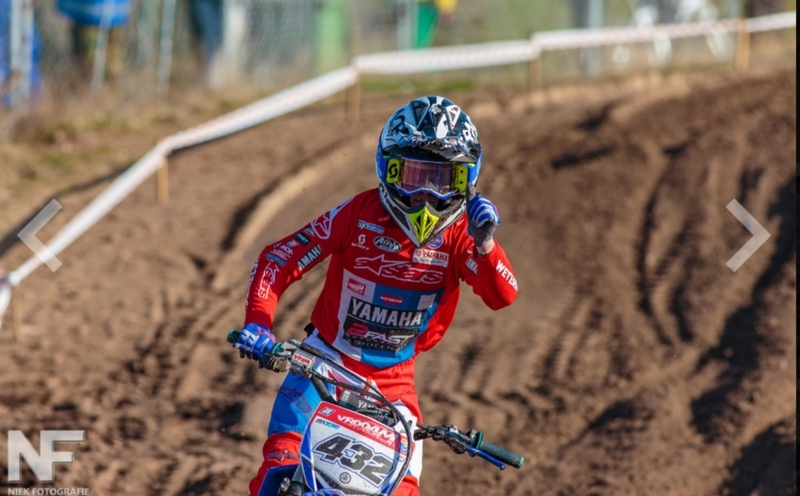 Ivano van Erp of the IVE 432 Yamaha MX team has won the opening round of the Dutch Open Championship 85cc in Mill. 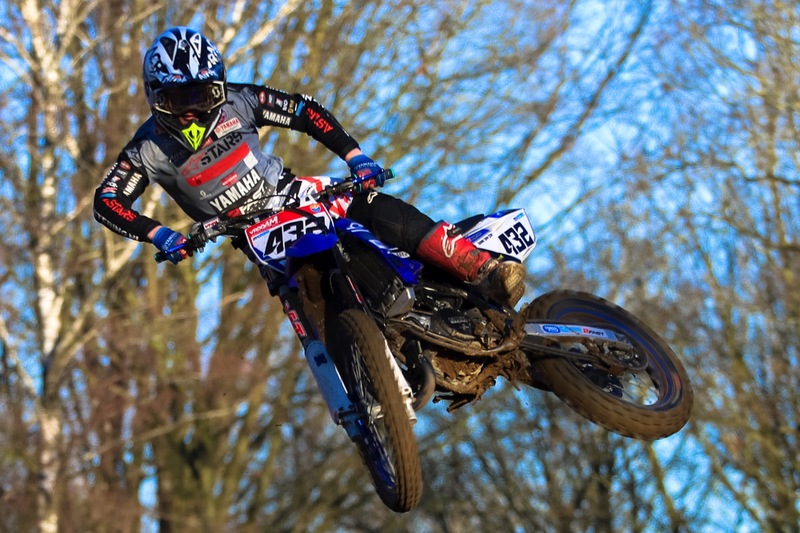 Van Erp was riding a strong first moto aboard his Yamaha machine and managed to win the race. 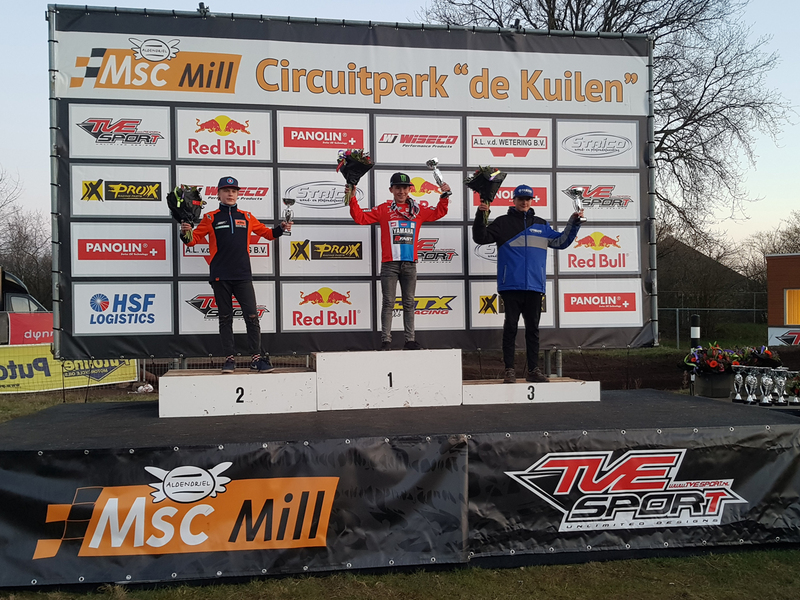 In the second moto he was struggling to find his rhythm but he was determined to win and despite a crash he was able to finish in second which was good enough for the overall victory. There were a lot of riders in the 85 class. Practice was in two groups and Ivano had to ride in the second group. 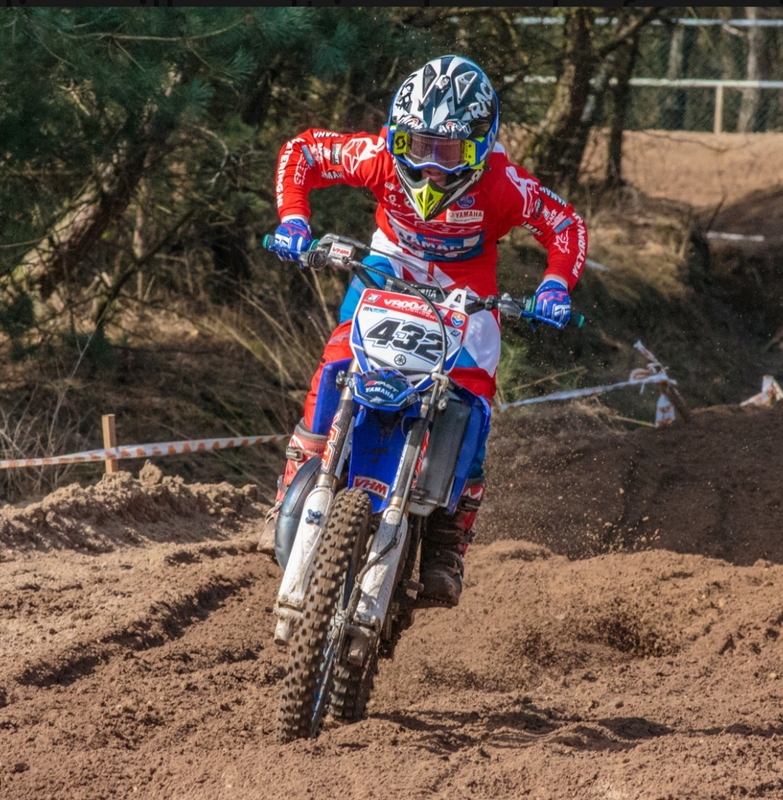 The rider from Oss managed to put a fast lap together and set the fastest time. With this time he had a good gatepick for both motos. In the first moto he took a good start aboard his 2 Fast Motorsport prepared Yamaha machine and came out of the first corner in second position. He immediately took over the lead and was in control for the rest of the race. Ivano took the win in the first moto and went back to the paddock with a satisfied feeling. 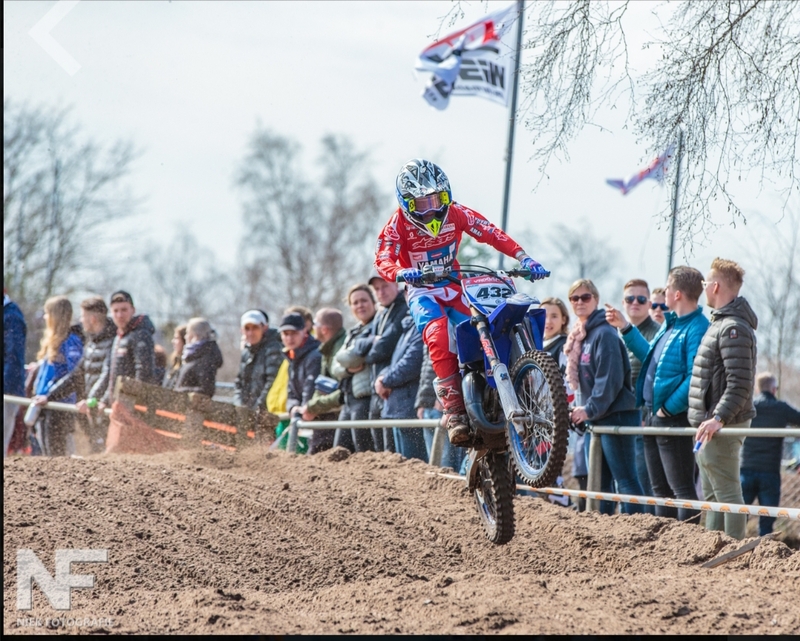 In the second moto he took a good start as well and started the race in second position. He worked his way up into the lead but was struggling to find his rhythm. This cost him the lead and he dropped back to second place. Ivano kept charging but a crash ruined his chances to win the race so he had to be satisfied with second place. With a 1-2 moto score he took the overall win in Mill. Ivano’s next race is the opening round of the European Championship in Slovakia in two weeks time!